They have gone by a variety of names, like "nodders" or "bobbers," but most people know them as bobbleheads. While it may be perceived by some as a childish endeavor, bobblehead collecting is a big business. The most valuable bobbleheads can push well into the four-figure range and a frenzy ensues each time a team has a giveaway. Although the concept of collecting bobbleheads might seem very simple, there are a few things to be aware of when getting into the world of bobblehead collecting. Browse the Many Bobbleheads on eBay. The bobbleheads we see today are a modern collectible, but they have actually been around in some form since the mid-1800s. Published in 1842, a Russian short story, The Overcoat, by Niolai Gogol, is believed to be the earliest known record of the wobbling figures. While telling his tale, the author described the main character, Akaky, as having a neck "like the necks of plaster cats which wag their heads." From there, the concept carried over to various other countries over the years and made the transition to U.S. sports in the early 1900s. Viewed mostly as a novelty during the first part of the century, they finally took off in the 1960s thanks to Major League Baseball. Although the interest peaked in the 1970s and subsided from there, the bobblehead collecting fire returned right before the new millennium. This was mostly due to a limited Willie Mays giveaway by the San Francisco Giants during the 1999 season to honor the 40th anniversary of Candlestick Park. Over the next few years, the resurgence was in full-swing and bobblehead giveaways became a common sight for baseball fans, with multiple giveaways each season. They are also a staple of minor league teams and many other sports have gotten in on the bobblehead boom. View our comprehensive listing for all 2015 MLB bobblehead giveaways. Bobbleheads are issued for a variety of reasons, but are normally made to celebrate a popular subject, player, mascot or milestone. While it can be difficult to predict which will be the most valuable, it is safe to assume that the most popular subjects tend to draw the most interest and the most value. This is especially true if it marks a significant moment, like the player's first bobblehead as a pro, or their induction into the Hall of Fame. There can also be signed versions, variants or versions that include a relic, like infield dirt or a jersey piece. With newer bobbleheads, condition is not normally a huge concern, but it is smart to inspect images or check the description for any mention of damage. However, vintage bobbleheads require more scrutiny. Since they can be anywhere from 30-60 years in age, it is unlikely they will ever be in perfect condition. You still want to be aware of any problems before you purchase the item, so don't be afraid to ask for additional images. Bobbleheads are not limited to just athletes or sporting events. Basically, if you can think of a subject, there is likely a bobblehead available. One of the most popular mainstream options, Funko Pop! figures are technically bobbleheads. You can even have a custom figure made for yourself. Retail - This means that the bobblehead can be purchased in a traditional brick-and-mortar store or at established online sites. These are mainly distinguished by the brand and theme of the set. This usually makes them the easiest to find, but limited edition versions go quickly. SGA/SGB - People interpret the acronyms in a variety of ways, but it basically means the bobblehead is only available as a stadium giveaway. Depending on the team, they might be available to all in attendance, or limited to a pre-announced number, less than the capacity of the stadium. 15,000 to 20,000 is a common amount for these giveaways and they are free with the purchase of a ticket to a specified game. Stadium giveaway bobbleheads are free because they are generally sponsored. This means there will usually be a brand logo somewhere on the bobble. STH/ST - These are bobbleheads that only available to season ticket holders, so the quantity is usually more limited. Because they are issued to fans who enjoy the team enough to purchase tickets for every home game each year, these limited edition bobbleheads can be the toughest to track down. NIB - New in box. Pretty self-explanatory, but this implies that the bobblehead comes exactly as it was issued, including all packaging and paperwork. Many collectors prefer this because the box can be part of the collection. When collecting anything, it is always good to be aware of the price points. Some bobbleheads can command insane amounts, but depending on the total production and the subject depicted, mosst can be found for just a few dollars. Collectors normally focus on one particular team or period, but it can be fun just to browse for random bobbleheads that catch your attention. Upon release, values tend to spike, but once the initial interest subsides, and assuming the supply has not been depleted, deals can be found on almost any bobblehead. Whether you can spend $10 per bobblehead, or thousands, there are plenty to go around for all budgets. The easiest way to see what specific bobbleheads are going for is to look on eBay. In addition to viewing current listings, you can also see the completed listings and their final prices. While there will always be deviations from the norm, with the proper search string and timeframe, it can be very easy to see the expected price range for a specific bobblehead. Naturally, when something has value, people are curious which versions command the highest values. 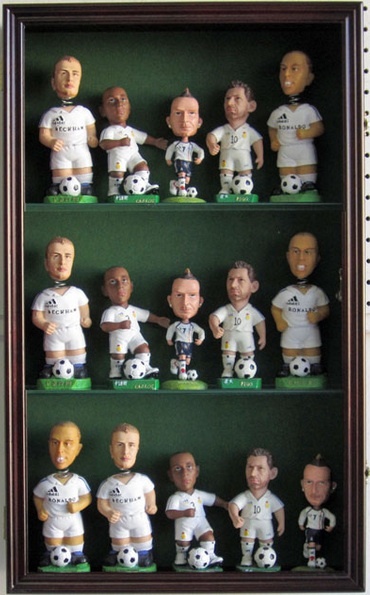 With bobbleheads, there are few categories which tend to draw the highest values. Vintage Baseball - It should not be surprising that the bobbleheads that started the initial craze remain popular today. Rare pieces in good condition can push into the thousands. Limited Edition - Usually a rare retail offering with production that could limit it to 100 or less copies. The most valuable of these bobbleheads are regularly oversized and occasionally signed. Forever Collectibles produces some of the most valuable modern options. 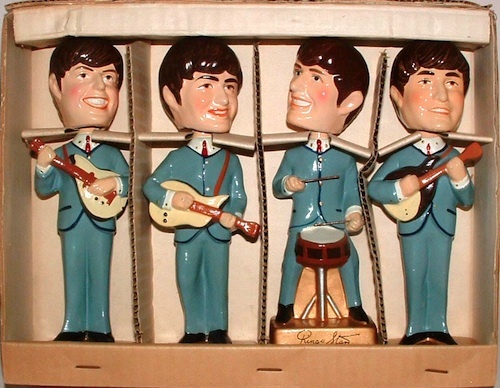 1964 The Beatles - Issued in 4-inch, 8-inch and 16-inch "BOBB'N HEAD" sets, John, Paul, George and Ringo are immortalized on these valuable 1964 bobbleheads from Car Mascots Inc. Be aware that there are reproductions, but the quality difference is usually clear. A single John Lennon 16-inch bobblehead sold for $2,575 in April of 2014. The Green Bag Supreme Court Justices - A rather unlikely source for high-end bobblehead collectors, The Green Bag is a quarterly legal journal. Although they are originally issued free of charge, the Supreme Court Justice bobbleheads are tough to locate and tougher to obtain, which explains why they are so expensive. A bobblehead for Chief Justice William Rehnquist, numbered out of 1,008, sold for $2,900 in January of 2014. Read more about these rare Supreme Court bobbleheads. A main perk of a bobblehead is that they have a built-in stand and enough weight to keep them in place. All you need is a sturdy, flat surface, that is out of the reach of small children and pets. In most instances, people simply plop it on a desk, dresser, or shelf, and bobble away. Most modern bobbleheads won't ever be worth that much and this is the cheapest and easiest way to display them. While they may appear very sturdy and resilient, they are quite fragile, most notably, the ceramic versions. This is especially true of the neck and head region, as well as outstretched limbs or accessories. Most bobbleheads will not survive a fall of even a few feet. They can also fade and crack over time from exposure to the elements. This is why some collectors elect to keep them in their original cardboard boxes, with plastic or foam packaging. While this is not nearly as fun, the boxes are normally decorated and offer pretty good protection for no additional cost. Even if you decide to display them without protection, it is good to hold onto the boxes for storage or moving purposes since you are guaranteed an exact fit. The protection aspect comes into play when dealing with valuable bobbleheads. It would be a bummer if you broke your five-dollar Jason Bay bobblehead, but it would be downright devastating if you broke a piece worth hundreds or thousands. Individual cases are available in addition to custom multi-item racks or cases. It is always recommended to go with UV protection when it is available. View additional information on storage and display here. 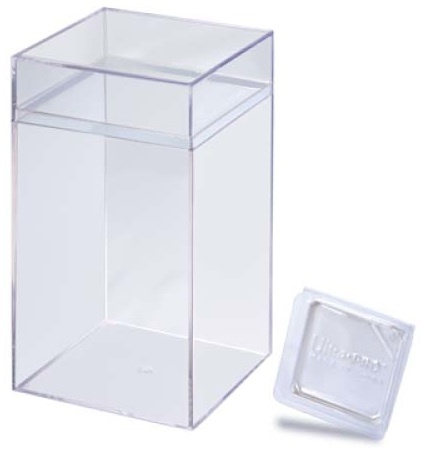 Shop for display cases below by clicking on the listings. Are there any specific bobbleheads you like to collect? Let us know in the comments. Gary Sanchez New York Yankees Stadium SGA Bobblehead 4 30 2017 WITH TICKET STUB! i have a wes unseld bobble head he’s holding the basketball with both hands and hes wearing a bullets jersey. It also has a white sign in the front that says the history channel, i was wondering if you could give me a price value on it. I have the forever collectibles Tom Seaver oversized bobblehead. I’m looking to sell and I’m wondering what sort of value it has? Mint condition. Hi I have a 2015 Milwaukee Brewers Jonathan Lucroy brand new still in box I’m not a baseball fan nor a bobblehead collector so I really have no use for it. Can someone give me a vaule on it if any and where can I sell it. I have a brand new no box only the plastic 2004 Steve Trachel Bobblehead. I can’t find one on ebay or online for sale . Anybody have any idea it’s worth. All I know it was giving out to a random group of fans at his start game. I have a Derek Jeter bobblehead wearing a Kansas City Royal uniform. I can’t find any information on this obvious error. Thanks for any help. Has anyone ever seen an Elston Howard Bobblehead? Be on the lookout for a Les Grossman REAL bobble head doll! I have a Gold Paul Goldschmidt bobblehead. Still in the original packaging. Do you have a ballpark on it’s worth? I have a jerry rice b head. Oakland Raiders. Howmuch. Well, I was going to ask about where I could find a valuation on my 3 Mariners Bobble Dobbles bobbleheads from 2001 (Bret Boone, Ichiro A.L. MVP & Edgar Martinez). But it seems that they aren’t answering questions. I guess I’ll keep looking. Why not try FACEBOOK. It sells them!! !